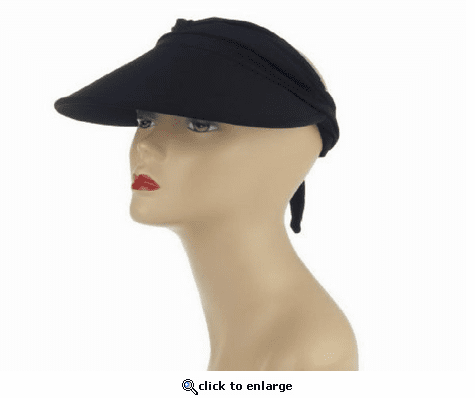 Shield your eyes from the sun and keep that cute ponytail with this 4" brimmed visor. Not only does it look great, the nylon and spandex construction helps keep you cool and dry when temperatures rise. Big Brim Visors prevent sun exposure with flair and function, combining unique stretch fabrics and a bendable brim that travels well and is water-friendly. Where can I find more Sprigs nylon/spandex sunvisors. I have purple and black ones,but would like a couple more colors and all I find is white.